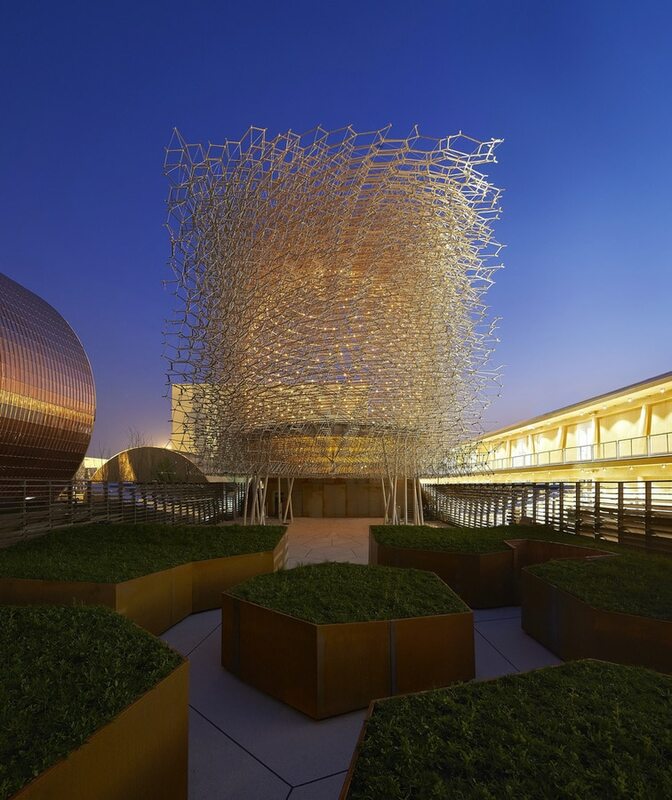 Set to open on May 1st, the Milan Expo is rapidly approaching, and the UK pavilion is one of the first to have been completed. 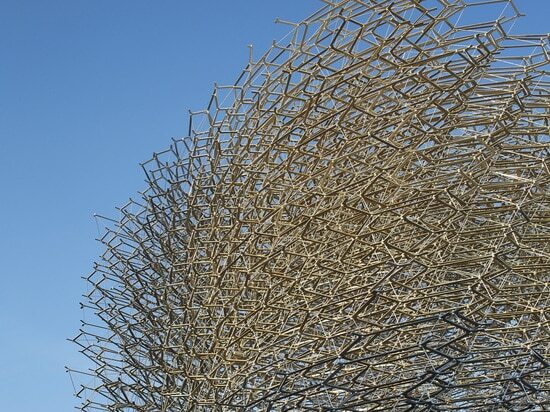 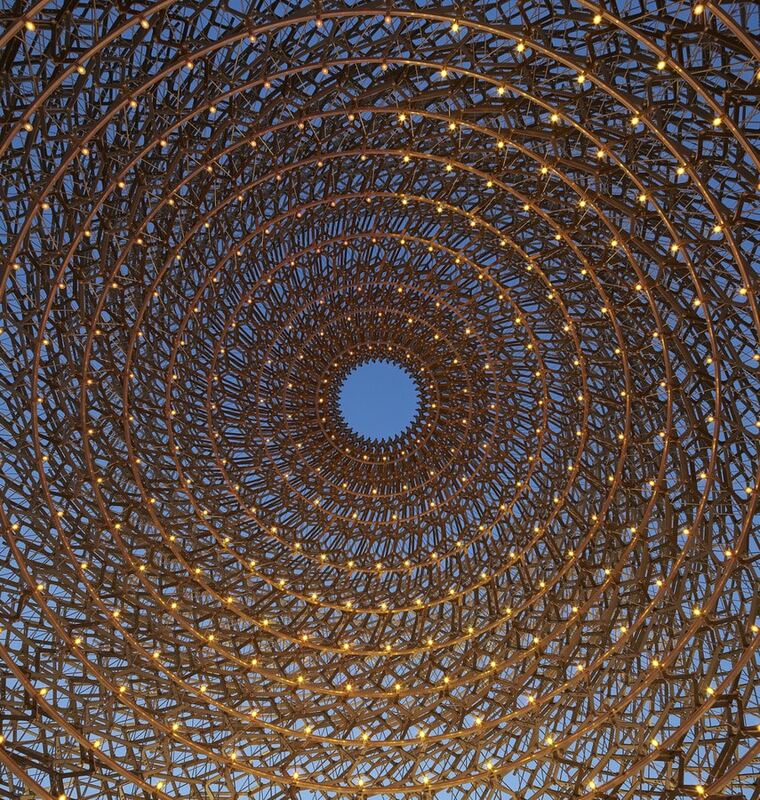 British architect Wolfgang Buttress created a “pulsating” beehive meant to draw attention to the worldwide honeybee quandary through an engaging sensory experience. 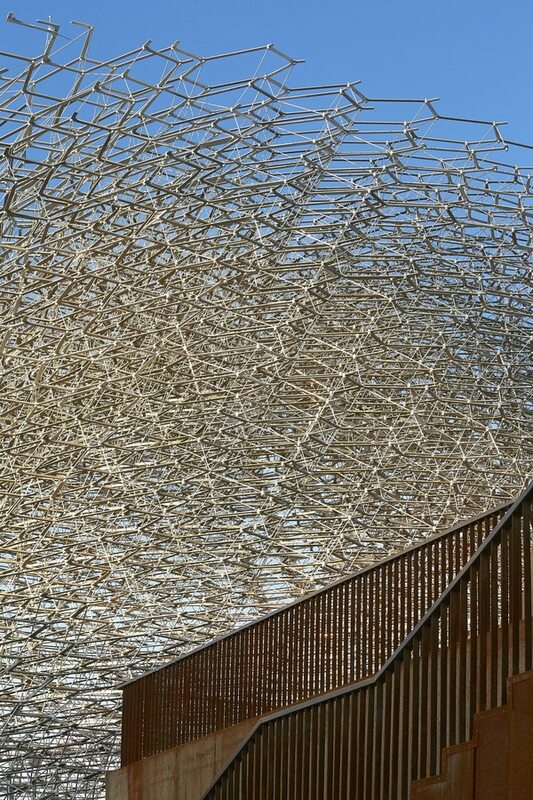 As visitors enter, they will follow the path of a bee, passing in front of vegetation-filled planters that mimic a flower-dotted meadow. 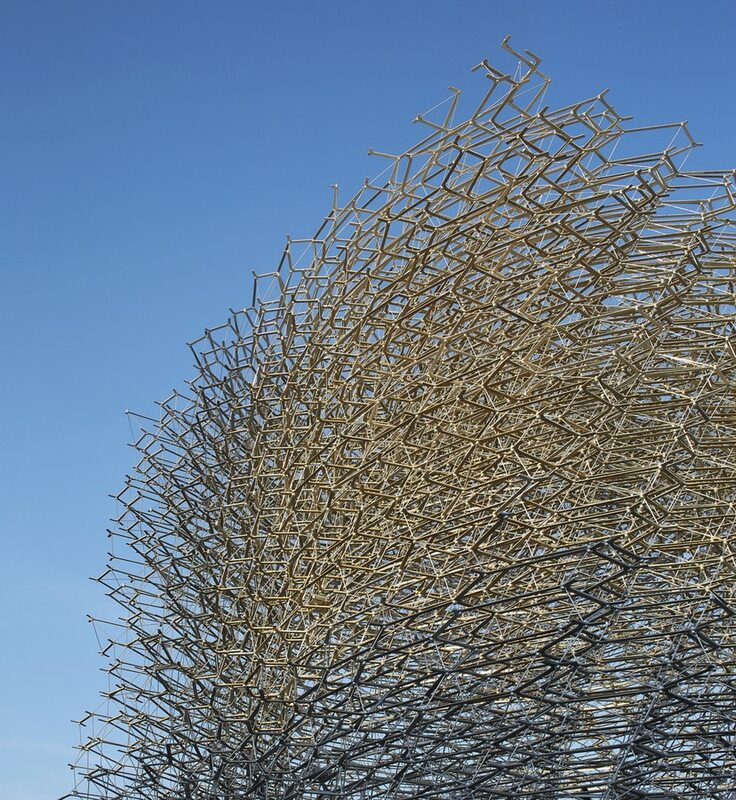 An interactive display at the end of the meadow gives visitors the opportunity to listen to various bee sounds before climbing a stairway to access the 14-meter hive structure. 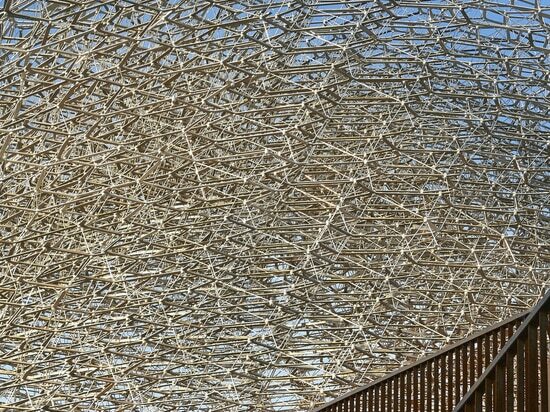 The stairway leads to the roof of an adjacent one-storey building that also houses toilets and a conference space. 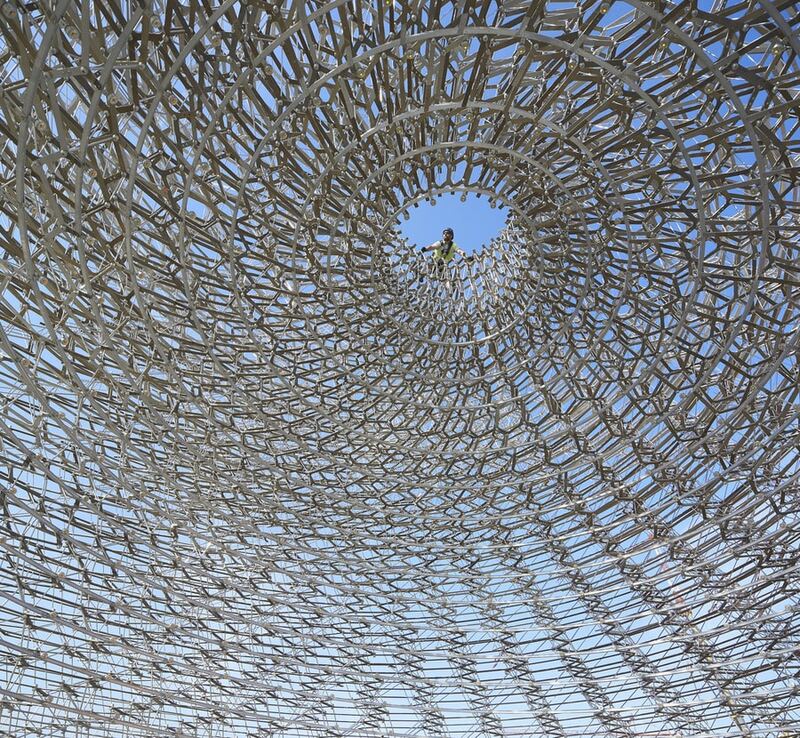 Once inside the hive, visitors will be submersed in an auditory and visual symphony that imitates the activity of a real beehive. 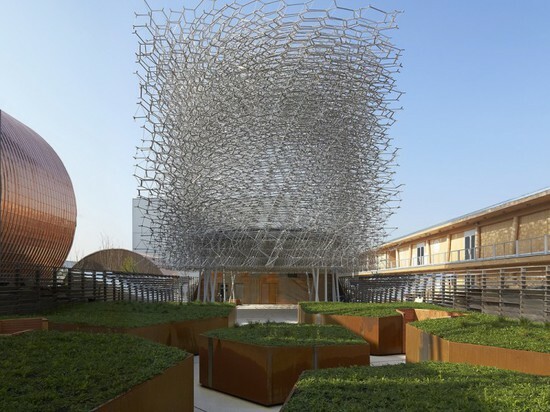 The realistic effects were recorded in a beehive that is part of a scientific research project in Nottingham. 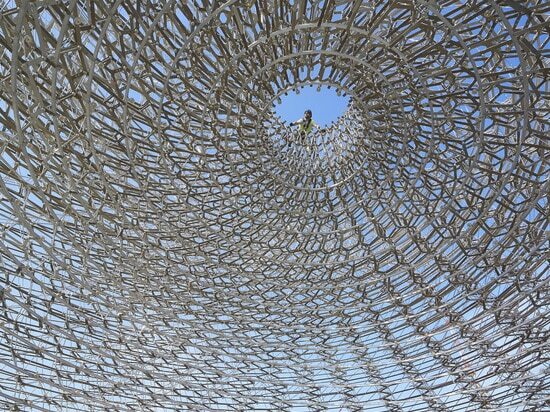 The lattice structure is made from 169,300 pieces of aluminum and steel. 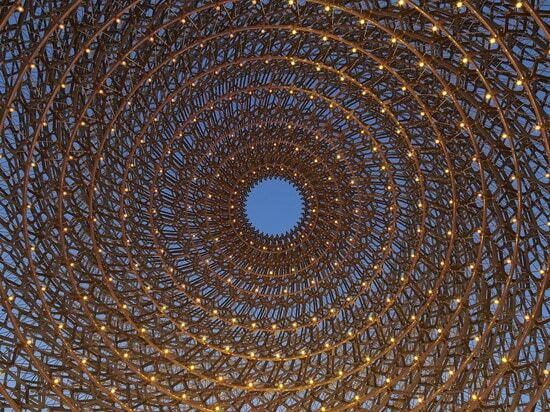 LED lights are set in resin diffusers around the vertical void in the center of the structure. 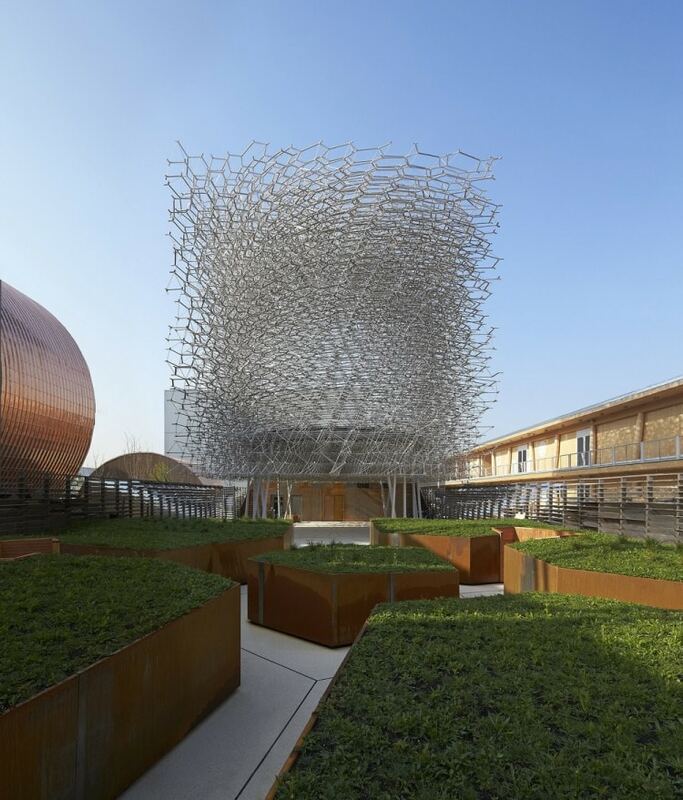 The theme for the 2015 Milan Expo is Feeding the Planet, Energy for Life, and more than 140 countries and organizations will be exhibiting custom-built projects. 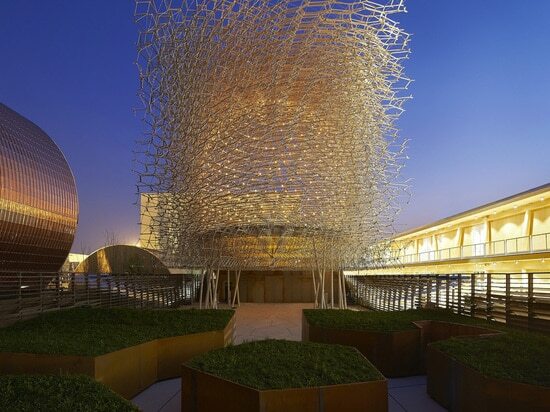 The 2015 Milan Expo will run through October 31st, 2015.